The list of accepted works will be posted on the gallery door April 26 . Please do not interrupt juror or gallery staff during selection or installation process. WORK WILL NOT BE AVAILABLE FOR PICK UP DURING THE EXHIBITION. Works not accepted can be picked up Monday April 28 11:00-3:00, or during the pick up of accepted works May 24/25, 11-3:00. ELIGIBILITY: This exhibition is open to all students of Sierra College. All work accepted for exhibition by the jurors will be displayed in the Ridley Gallery, Rm 102 of the Learning Resource Center at the Sierra College Rocklin Campus. It is the right of the juror to determine the selections of work for the exhibit and prizes that are awarded. 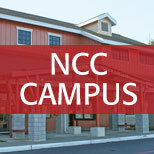 Work must have been completed within the last two years while a student of any Sierra College campus. All work must be original. No copies of other artworks will be accepted. ENTRY CATEGORIES: Drawing, Painting, Ceramics, Printmaking, Multimedia, Photography, Sculpture, Jewelry, Metal Art, Woodworking, Mixed Media, Graphic Design, Digital Imaging, Multimedia, Video. AWARDS: Cash awards and gift certificates totaling approximately $1,500 will be awarded for outstanding work. Awards will be announced during the May 8 reception, and posted by chosen works for the duration of the exhibition. ALL WORK MUST BE READY FOR PROFESSIONAL GALLERY DISPLAY: Works on paper must be matted and framed. Plain glass with frame clips will not be accepted, plexi-glass with clips are acceptable with hanging wire attached. All frames must have wire or similar hanging device attached on the back. If it is the intent of the artist to display the work in a different manner, such as large format drawings, which might be displayed unframed, or conceptual pieces, instructions and hanging devices should accompany the work. Wall sculptures should have appropriate hanging devices attached. All paint/ materials must be dry. Ceramics must be glazed or finished, no greenware. Video work must be prepared for viewing on a Mac as .mov files on a CD, DVD, or flash drive. 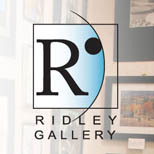 Ridley Gallery retains the right to exclude work not professionally presented or not conforming to the prospectus guidelines. The Gallery will retain a 40% commission from any work sold in the exhibition.